Photo essays from top underwater photographers and dive travel destinations, including behind-the-scenes insight, photo tips and best camera settings. I started diving 20 years ago while on holiday in the Dominican Republic, and fell in love with it immediately. Then, I tried my first muck diving, and found I love that too. It was like playing in the mud and reminded me of my childhood! 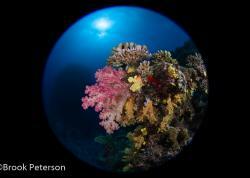 But my big passion for underwater macro photography only started two years ago with a holiday in Lembeh Strait. By accident I had a compact Canon G16 at home and decided to buy a Fantasea underwater housing for it. It was really fun taking pictures, but soon I realized that for underwater macro photography I needed more than just a housing. 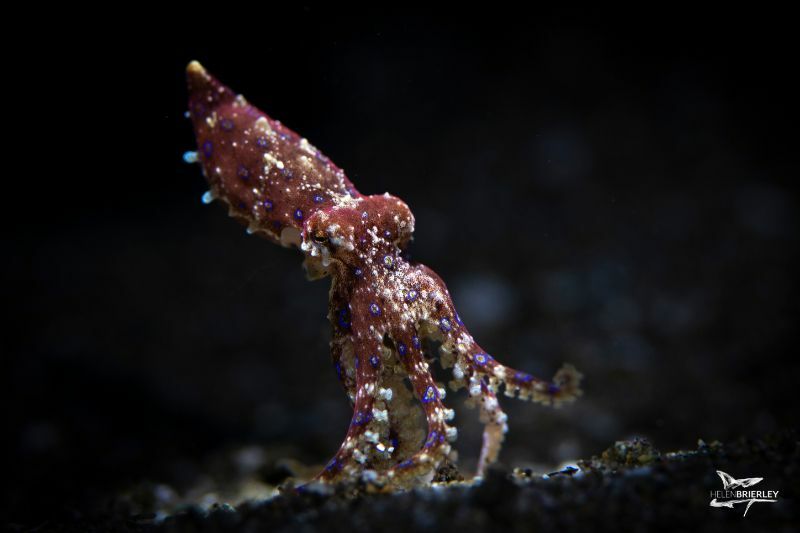 So, I bought a strobe (Sea&Sea YS-03) and a +5 macro lens (H2O tools) and took my new rig to Lembeh. I was lucky with the guide I got, who showed me so many critters I had never seen before. Taking pictures of them was really fun, and I quickly became hooked. Since then, my great passion for underwater photography has only grown! My First Tiger Shrimp. Lembeh, Sulawesi. Canon G16 with Canon WP-DC52 housing, single Sea & Sea YS-03 strobe, +5 macro lens. 10.39 mm focal length, f/3.2, 1/125 sec, ISO 80. I Am Shy (Conch Snail). Lembeh, Sulawesi. Canon G16 with Canon WP-DC52 housing, single Sea & Sea YS-03 strobe, +5 macro lens. 15.91mm focal length, f/3.2, 1/20 sec, ISO 80. Focusing was initially the most challenging aspect of shooting with a diopter. You don’t have a huge depth of field with this setup, especially when zooming in to photograph the super tiny critters. So you have to focus really well. I remember one occasion during my first dive with this setup.... I was trying to get a picture of one of my favourite critters, a tiny Shaun the Sheep nudibranch. There was quite a surge and it was pushing me back and forth continuously… it was almost impossible to get this tiny critter into focus. My dive guide had a slate with him and wrote onto it ‘RELAX’! I laughed so hard that my mask flooded. I handed over my camera to let him try himself. And he had the same problems…. After the dive he told me that is was so difficult to get the tiny sheep nudibranch into focus because of the surge. But with enough practice I got better and became more relaxed with shooting super tiny critters. Sometimes you just have to be a bit patient! Shaun the Sheep (Costasiella nudibranch). Lembeh, Sulawesi. Canon G16 with Fantasea FG16 housing, Sea & Sea YS-03 & YS-DS2 strobes. +5 and +15 macro lenses stacked. 26.46mm focal length, f/2.8, 1/500 sec, ISO 100. Wishing on a star (Sea Star Shrimp). Pemuteran, Bali. Canon G16 with Fantasea FG16 housing, dual Sea & Sea YS-D2 strobes, +5 and +15 macro lenses stacked. 30.5mm focal length, f/8, 1/400sec, ISO 125. Nowadays, it sometimes happens where the critter itself is not that photogenic or a bit boring…. either too large, not in a good position, not easily discernible from the background, etc. When this happens, it can be really fun to concentrate on just one feature of this critter with a close-up shot. This is especially great with supermacro photography. Here are two examples for this. The first one is a close-up shot of the eyes of a Carpet Sole we spotted during a night dive in Lembeh Strait. Carpet soles are well camouflaged and really hard to separate from the background, especially when you are an amateur photographer and not that experienced with strobe positioning and light settings. That may also be the reason why I thought they and other flatfishes are boring and not so good for photos. After trying to get some “whole fish shots” of this one, I decided to go only for the eyes because they are special… really huge compared to the size of the fish, and with a blue tint in them. I loved the result, with all the details clearly visible! Those Eyes (Carpet Sole). Lembeh, Sulawesi. Canon G16 with Fantasea FG16 housing, dual Sea & Sea YS-D2 strobes, +5 and +15 macro lenses stacked. 30.5mm focal length, f/8, 1/400sec, ISO 80. Another example is a close-up shot of only one eye of a huge Conch snail we spotted while diving in Pemuteran, Bali. Many people take good “both eyes shots” of conch snails. However, this Conch snail was so huge that this shot was nearly impossible – even without macro lenses - because the eyes were coming out of the huge shell on different sides. So I concentrated on only one eye of the snail instead. The biggest challenge with this shot was having to be really, really patient. The Conch snail was very cautious and moved its eye out of its shell very slowly. So, I set my focus and strobes up, and then had to wait a bit for the eye to move into the right position. The result was a Conch snail eye reminding me of a telescope, with only the upper part in focus. Telescope (Conch Snail). Pemuteran, Bali. Canon G16 with Fantasea FG16 housing, dual Sea & Sea YS-D2 strobes, +5 and +15 macro lenses stacked. 20.37mm focal length, f/8, 1/1000 sec, ISO 160. Sometimes it can be fun to play around a bit and get experimental in order to make the photo more special. A helpful tool for such shots is a snoot - either in the form of a snoot torch or one you can mount on a strobe. Both work well with a compact camera setup. (Editor’s note: if you want to learn more about snoots, check out our Ultimate Guide to Snoot Photography). My first snoot dive was in Lembeh. My guide insisted that I try something new, and he brought his Do-It-Yourself snoot which we mounted on one of my strobes. I was totally inexperienced in shooting snoot pictures. However, I soon had a lot of fun with it because you can highlight a critter in a very nice way. This is done by adjusting the strength of the flash of the strobe in conjunction with the camera settings. You can create a “spotlight” effect on the critter, while also getting a dark background. From my experience, it is best to start with the highest f-stop that your camera allows, which is f/8 with the setup I am using. Then you can play around with the shutter speed and/or the ISO to adjust the lighting of the picture. If the picture is too bright you can increase the shutter speed, lower the ISO, or both. For snoot pictures, I usually want a bright object with a dark background. Depending on the snoot you are using, this works both for macro and super macro critters. On my first diving day with a snoot, I took my favorite snoot photo – A Red Devil Scorpionfish – I called it Darth Vader. Actually, it earned an Honourable Mention in the Through Your Lens photo contest of Scubadiving Magazine in 2018. Darth Vader (Red Devil Scorpionfish). Lembeh, Sulawesi. Canon G16 with Fantasea FG16 housing, YS-D2 with DIY snoot, +5 macro lens. 6.1mm focal length, f/2.8, 1/80 sec, ISO 100. Grumpy (Baby Clown Frogfish). Lembeh, Sulawesi. Canon G16 with Fantasea FG16 housing, Minigear snoot torch, +5 and +15 macro lenses stacked. 17.16mm focal length, f/8, 1/100 sec, ISO 100. Some of my experimental shots also happened accidentally at first, providing me with new ideas for photo composition. I took a shot of a Goniobranchus kuniei with my super macro camera setup, but without zooming in. The pic was taken in Menjangan Island, Bali in a place with quite strong current and I was just too lazy to screw off the 15+ super macro lens. But it turns out that I really liked the “porthole” effect - as some people called it - and I sometimes shoot like this on purpose now. 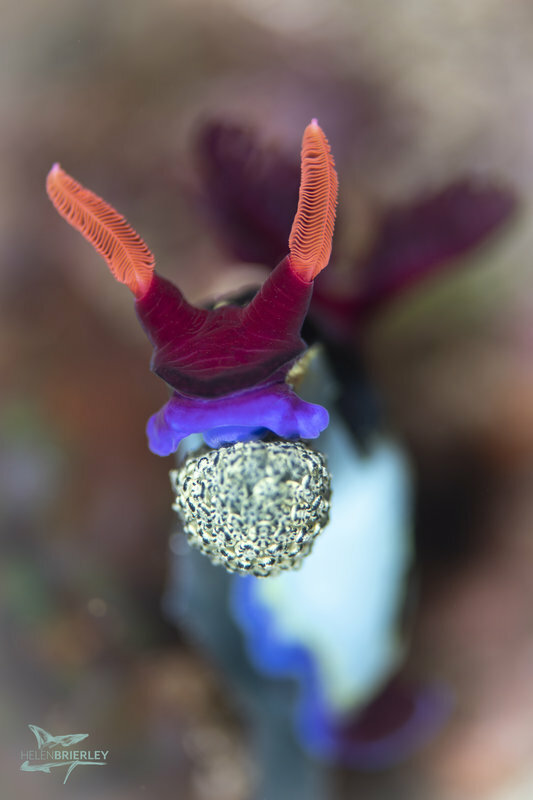 Through the Lens (Goniobranchus kuniei nudibranch). Menjangan Island, Bali. Canon G16 with Fantasea FG16 housing, dual Sea & Sea YS-D2 strobes, +5 and +15 macro lenses stacked. 6.1mm focal length, f/8, 1/100 sec, ISO 100. 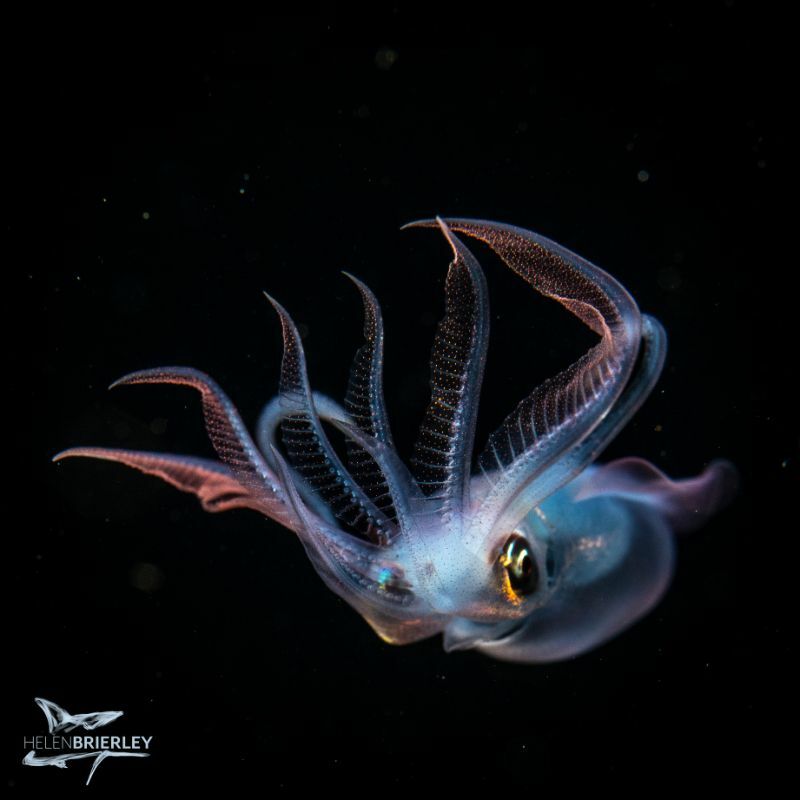 My passion is to not only document critters but to impart images with a feeling, a special atmosphere, and to show these animals to the world in order to raise awareness for our oceans. Each of my photos has a title, which mostly expresses my thoughts or feelings when I look at it. Originally, ideas for photo titles mostly occurred to me when checking the photos on my computer. But this is slowly changing and the idea for the photo title is often already in my head when I am shooting a critter. But perhaps the biggest challenge is to transfer the feeling I have in mind to the shot in terms of composition, light, and atmosphere…. but I am still learning a lot and working on it!!! Under The Volcano (Rounded Sea Star Shrimp). Lembeh, Sulawesi. Canon G16 with Fantasea FG16 housing, dual Sea & Sea YS-D2 strobes, +5 and +15 macro lenses stacked. 30.5mm focal length, f/8, 1/100 sec, ISO 100. 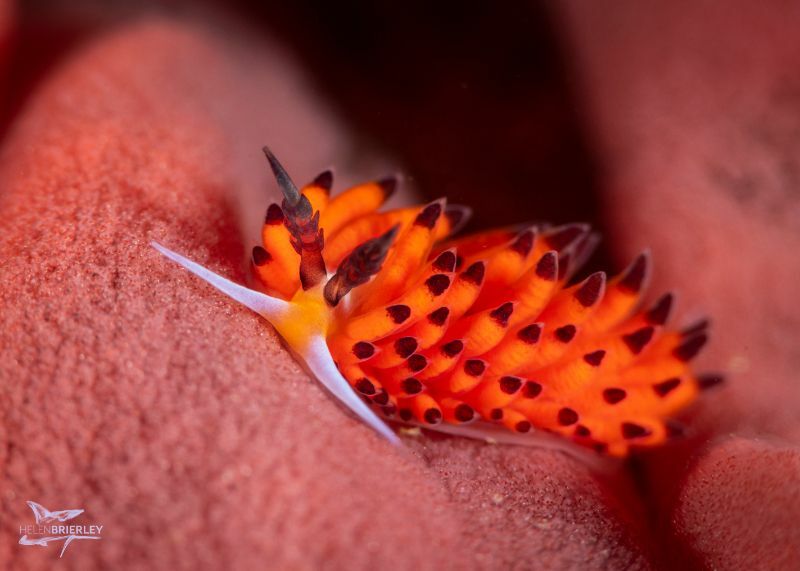 Struwwelpeter (Phestilla melanobrachia nudibranch). Lembeh, Sulawesi. Canon G16 with Fantasea FG16 housing, dual Sea & Sea YS-D2 strobes, +5 and +15 macro lenses stacked. 12.14mm focal length, f/8, 1/100 sec, ISO 200. Finally, many of my photos would not exist without my guides. And I want to say Thank You to them for always trying to find the critters I love most. 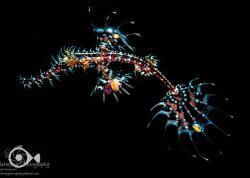 The pictures included in this article were taken in two locations, Lembeh Strait, Sulawesi and Pemuteran, Bali. A very big THANK YOU to Yap Katumbal and Gede Karma, and all the people at Bastianos Lembeh Dive Resort and Ocean Dreams Pemuteran! 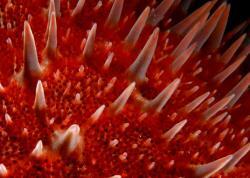 In conclusion, I wanted to leave you with my top tips for underwater macro photography. Choose the right setup depending on the size of critters you want to photograph. Play around with strobe position and camera adjustments. Experiment and try new things like using a snoot or different picture compositions, for example close-up shots. And most important: Be patient and always keep trying! Thank you for reading and I hope you find these useful! 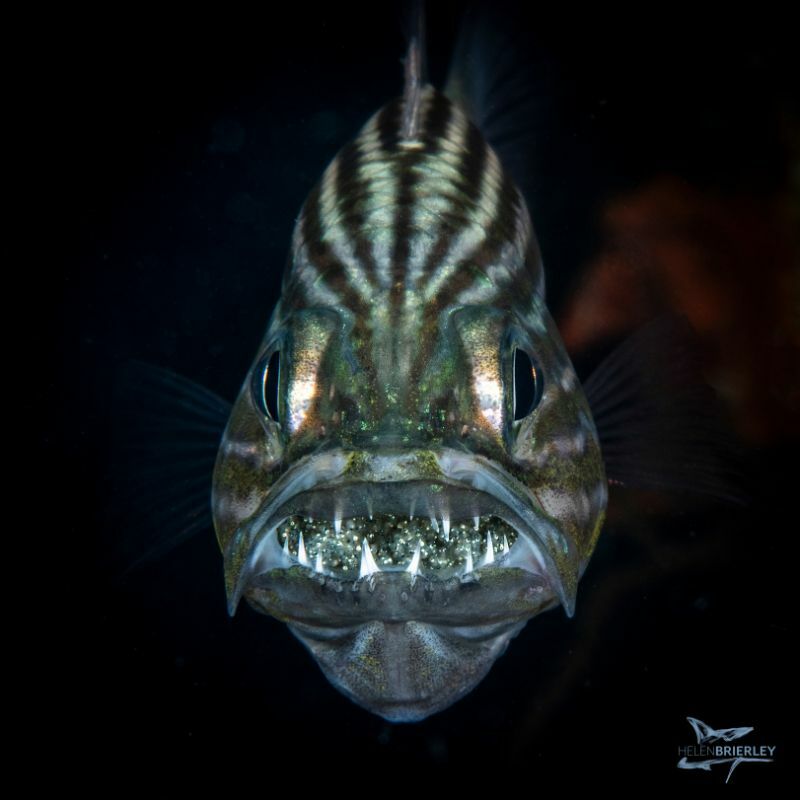 Join One of Our Macro Underwater Photography Workshops! Kathrin Landgraf-Kluge grew up in a village in East Germany. She was fascinated by nature and wildlife from her early childhood onwards. Not surprisingly, keeping with her fascination she went on to study biology. She fell in love with diving when she was 20 years old, and has not let go since then. She loves travelling, especially in Indonesia. 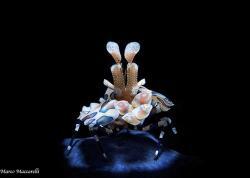 Her big love for underwater macro photography started there about 2 years ago. Since then she has done her best to share her passion for the tiny and super tiny underwater critters with the world. Follow her on Instagram @kathrin_underwater if you would like to see more. 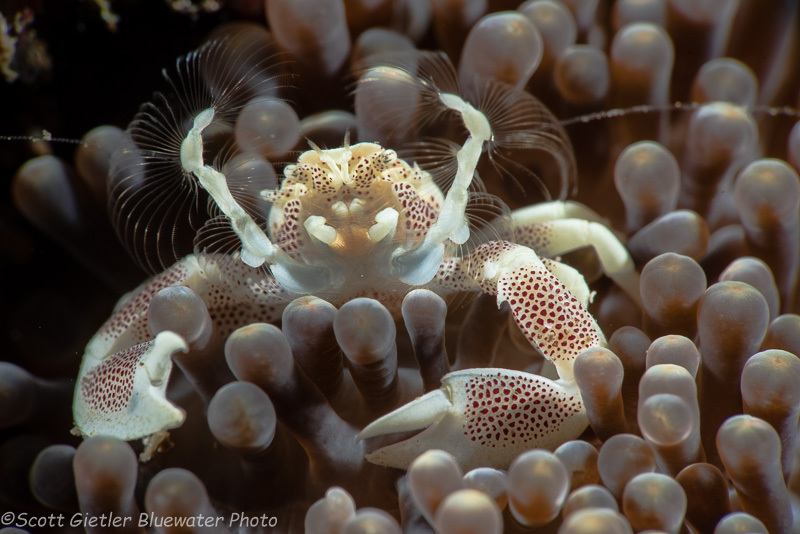 Every December, Bluewater Photo and Travel returns to the macro photography paradise of Anilao, Philippines for their annual winter underwater photography workshop. The December, 2018 photo workshop was led by Craig Dietrich, Helen Brierley, Crystal Blue Resort’s Mike Bartick and Bluewater CEO, Scott Gietler. Guests enjoyed a rigorous underwater photographic routine involving 4 dives per day, a daily image review, and daily presentations on different aspects of underwater photography – the perfect recipe for sharp photographers. Anilao is undoubtedly a niche destination. If you’re looking for your standard tropical beach vacation, there are undeniably better options. 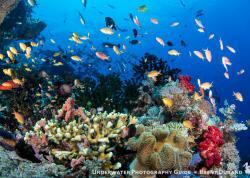 If you’re looking for expansive underwater reefscapes to bask in – there are better places to be. If you’re looking for big pelagic, sharks, rays, and whales – go to Socorro. 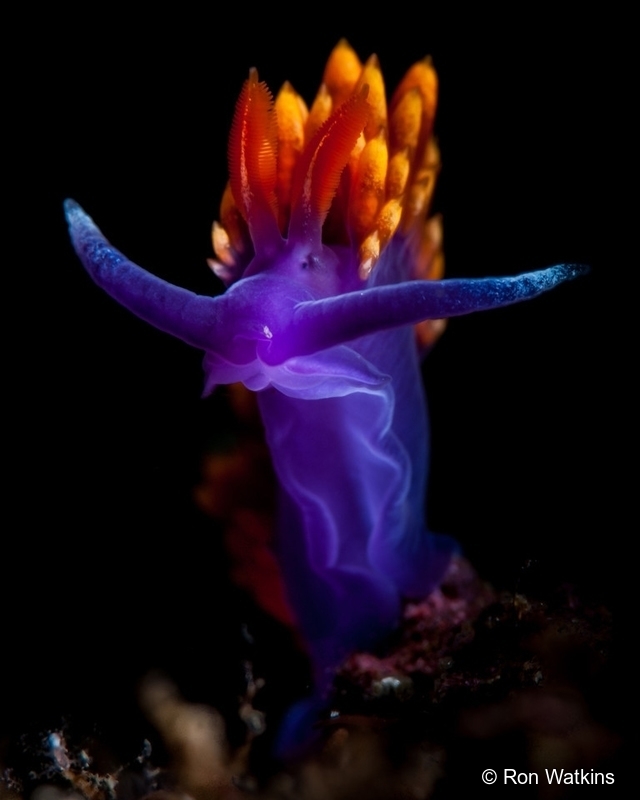 But if you’re looking for freaks, oddities, aliens of the deeps, and sea slugs Anilao is the place to be. 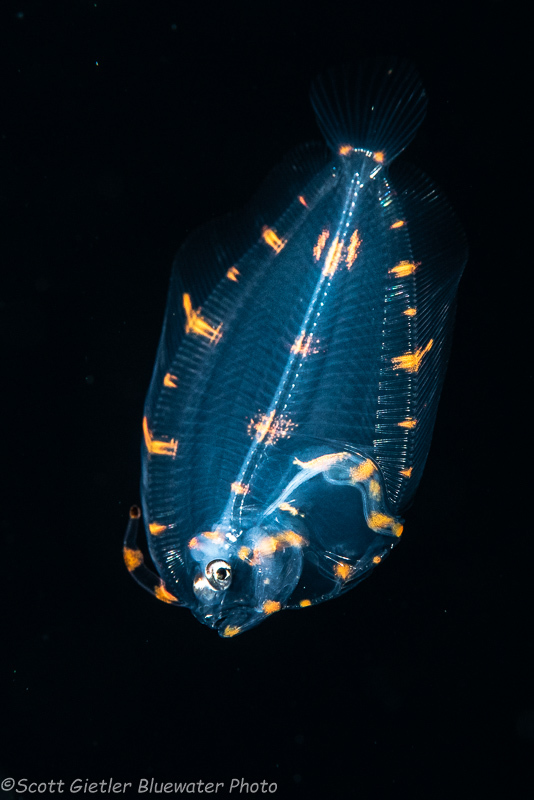 In an almost sacred sense, Anilao is the global pilgrimage destination for macro photographers on their quest to find tiny but coveted marine life – much of it unbeknownst to the public eye. These creatures are as odd as their names sounds - frogfish (hairy, warty, giant, and painted – and yes, there are that many types), pygmy seahorses, flamboyant cuttlefish, rhinopias, nudibranchs, Lembeh sea dragons, mimic octopus, and blackwater “aliens” can all be readily found in Anilao. Why travel halfway around the world to see these creatures? Every dive in Anilao is an underwater saga of life, death, violence, and love. The behavior of these animals and their inherent natural beauty is unlike anything on this planet. These photos from our trip leaders speak for themselves. 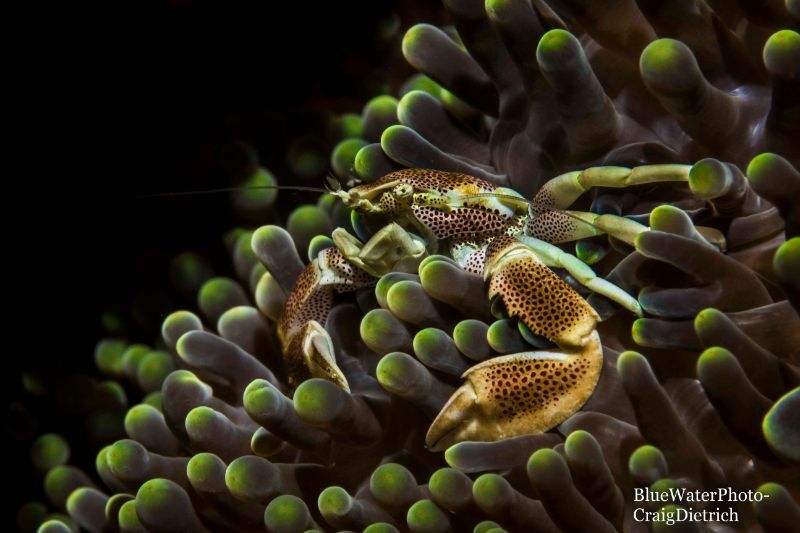 Join Bluewater Photo in April, May, and December 2018 for the annual Anilao workshops, and some amazing reef and critter diving at Crystal Blue Resort. Shooting super-macro subjects with the Olympus TG-5 as a supplement to a dSLR rig. The first photographs were taken in the early 1800s and astounded the public. Soon thereafter, in 1856, a camera was lowered into the gloomy waters of the Bay of Dorsett and remotely activated. Underwater photography was born. The art and science of underwater photography quickly captured the hearts and minds of explorers. In 1899, the first portrait of a hard hat diver was taken and thereafter technology accelerated exponentially such that by 1950, Beauchat had successfully marketed a commercial housing for a commercial camera – the first on the market. Not surprisingly, the legend himself – Jacques Cousteau – developed a self-contained underwater camera – the Calypso – in 1957. By 1963, the photographic giant Nikon had bought rights to the Calypso and marketed it as the Nikonos; the modern era of underwater photography had begun. The Nikonos line was rapidly improved until the Nikonos V appeared on the market. This is arguably still one of the best underwater cameras ever created. The age of digitalization and miniaturization quickly enveloped the underwater photography world until today, almost all underwater cameras are digital, from small point and shoots up to housed technological behemoths. It is from this background that modern underwater photography must be examined, not only from an artistic standpoint but also from a technical standpoint. Nautilus belauensis – largest species of nautilus, trapped, photographed and released in Palau. Nikonos V, Velvia 50, Close-up kit. Hundreds of books and articles have been written about modern underwater photography. So…why another article? What more could possibly be said? My thoughts as well except there is a new perspective on macro photography brought to you by the recently introduced Olympus TG-5. At this point, a brief bit of personal background will help set the stage for my further opinions. I was certified to dive in the early 1980s and quickly ascended the ladder of certifications and specialties, as well as taking courses with underwater photographers such as Stan Watermann, Jim and Cathy Church, and Christopher Newbert. My father-in-law subsequently gifted me a Nikonos V with extension tubes, framers and a close-up kit. My love for extreme macro was born. For those who remember those Nikonos framers fondly, I clipped/removed one of the posts from the extension tube framers so that a strobe would not cast shadows upon small subjects and then perfected my stalking/buoyancy techniques so as to place the 1:1 framer around a skittish subject. I am still impressed with the results of the Nikonos V and its framers. I always shot with Velvia 50 film and could eke out 38 frames – about 6 to 7 subjects -- per roll. Cypraea onyx – multi-colored shell with its living animal; Lembeh strait, Sulawesi. The photographers of today simply cannot relate to stumbling upon that once in a lifetime subject/shot with maybe, maybe one frame left on the film roll. Fast forward to the digital age where I could house my Nikon D-80 and shoot literally hundreds if not thousands of shots and subjects – on a single dive! It truly felt like you were cheating after the Velvia film era; then Photoshop/Light Box appeared and underwater photography literally became – unreal. From early on in my photo history my primary subject was living mollusks – many of which had never been photographed alive in situ before. I eschewed almost all post photographic editing (and still do) so as to provide the most realistic depiction of the scarce-to-rare living mollusks that I photograph. I published two books – Living Shells and Living Mollusks – using both film and my trusty housed D-80. Then, I hit a plateau both artistically and intellectually. I wanted to photograph something rare and artistic; those ultra-macro shots of living mollusks and the almost microscopic mollusks that live in soft corals and Gorgonians. The Universe heard me and rewarded me in a very snarky manner. Harpa costata – first photograph of this rare harp alive in situ. Grand Bay, Mauritius. Housed Nikon D-80 with dual strobes, 60mm macro lens. 1/60 sec, f/22, ISO 100. I travelled to Ambon to dive specifically with Nus and Ali; and specifically to photograph the Psychedelic Frogfish and the Tiger Egg Cowrie (Cuspivolva tigris), one of my holy grails for over 20 years. Now, imagine this, Ali and I found not one but two Psychedelic Frogfish – we had them together in an amazingly cool composition. I had my trusty D-80 with my dual strobes – they were in focus - I held my breath (BTW, don’t ever do that) and released the shutter. I heard a click and the shutter stayed open! I tried everything but my D-80 was dead! I screamed, I cursed, I ranted, but no one can hear you underwater! Turns out that the gear teeth on my D-80 had been ground to nothing over my years of use. Fear not, said Nus and Ali! At that point, they handed me this ridiculously small, weird little camera with no strobes. They handed me the new Olympus TG-5 and my micro/macro living mollusk photography began; of course, the Universe was laughing in the background – let’s see how you do with a new, small camera and only your artistic ability! I just didn’t realize the impact that this weird little camera would have on my photography. Voluta polypleura sunderlandi – first photograph of this rare volute alive in situ. Utila Cayes, Honduras. Housed Nikon D-80 with dual strobes, 60mm macro lens. 1/125 sec, f/22, ISO 100. I loved my housed Nikon; my housed Nikon D-80 with my dual strobes. It was like my right arm – I never, ever dove without it. It did, however, have several drawbacks; specifically, the bulkiness of the rig and the two lenses that I typically used – the 60 mm macro and 105 mm macro – were limited with regard to extreme close-ups and distance from the subject. The TG-5 solved both of these problems. 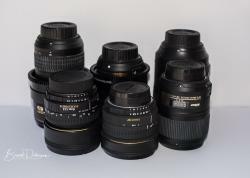 Don’t misunderstand my comments; my housed Nikon with either lens was superb. 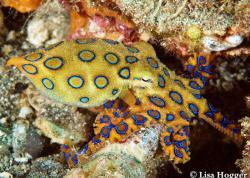 It was amazing when the subject was a typical living mollusk or cephalopod crawling along the coral reef or muck bottom. Also, I am particularly fond of a black background, and with this camera and strobes I could almost always achieve a black background, while avoiding any backscatter. However, what had become more and more apparent to me was that my set-up had serious disadvantages when it came to ultra-macro shooting or small subjects in tight places. My portfolio lacked shots of the small mollusks such as ovulids, Simnias, and even certain small nudibranchs. Sure, I could photograph them and then crop them down, but such cropping degraded the sharpness of the images and the pixellation became prohibitive. Entemnotrochus adansonianus – first photograph of this slitshell alive. Recovered from 400’ off Roatan. Thus, back to the Olympus. When my Nikon died in Ambon, I had a choice – learn a new method with new equipment or take no photographs. I looked at that weird, point and shoot, Olympus in my hand – no strobes and only a small video light – and cursed the Universe. Well, not really...it was a cool challenge. This small camera was an enigma to me; and its handling and use went against almost every technique I had learned. Where was my controlled lighting? My strobes? My f/22 for depth of field? Where was my giant camera rig that was handed to me ever so carefully after I entered the water? I felt like Will Smith in Men in Black being handed the small needle point gun – here is your weapon, use it wisely. I had my doubts. Nus and Ali only laughed and assured me that I could handle it. Psychedelic Frogfish – pair of these not seen since 2006. Ambon, Indonesia. Olympus TG-5, Sola 1200 Video Light. 1/20 sec, f/3.8, ISO 100. I figured I would just go for broke since I was a macro photographer and set the camera controls for microscope. Supposedly the SOLA video light provided adequate lighting. Again, I had my doubts. To say that I was amazed following several test subjects was an understatement. I was blown away by the micro close-ups this camera produced. I was not only able to maneuver through dense soft coral bushes to photograph soft coral ovulids; I was also able to photograph their faces! These ovulids are basically the size of a pea and no one had ever seen their faces before. Some of the Simnias are the size of a grain of rice and again, sharp images of their faces are possible with this Olympus. 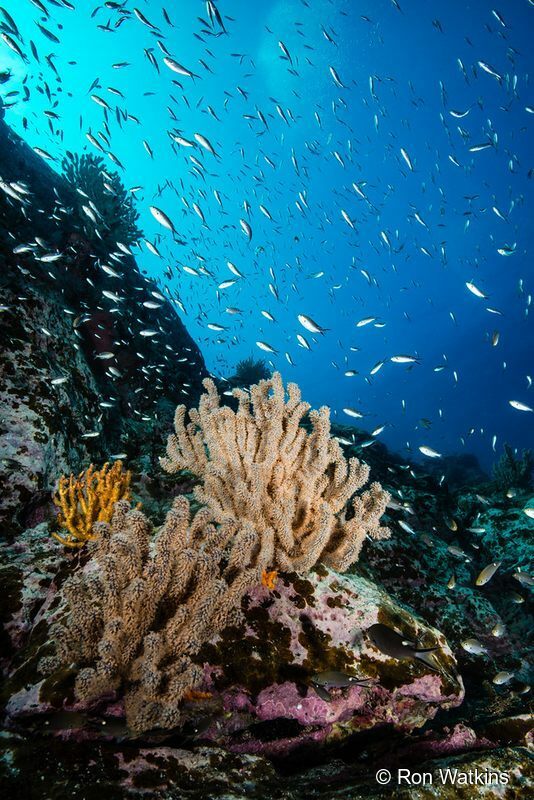 Moreover, I could maneuver through, between and around the soft coral bushes and gorgonions upon which they live, without disturbing the polyps. 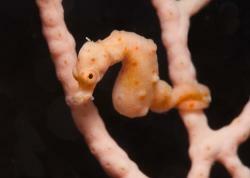 Serratovola dondani – face of this small ovulid in soft coral. The face is about 2 mm. Ambon, Indonesia. Olympus TG-5, Sola 1200 Video Light. 1/400 sec, f/4.9, ISO 100. The compactness of the camera and small light source could be maneuvered into position so my subject was surrounded by open, undisturbed polyps. The artistic possibilities did not escape me. This lack of stealth and compactness was a major drawback with my big housed set-up. I always touched the soft coral, with the polyps retracting immediately. The TG-5 solved that problem. I was also amazed at the lighting. I used the SOLA video light that was more than adequate for lighting. I would actually use it at only half to three quarters power and then turn it off to conserve battery. It also worked well at night although I typically kept it on its red light mode to decrease the gathering of the worms which muck up the background. So, compactness, microscopic photographs and excellent lighting, I was a convert; of course, there are a few drawbacks to the Olympus. First and foremost, on microscope mode, the settings are pre-selected by the camera. In other words, unlike my D-80, which I set on manual and select the f-stop and speed, the Olympus does not allow you to select either. In microscope mode, you have few options to select your own settings. As a result you rely on the camera for your depth of field (extremely shallow) and speed, which occasionally results in some blurring. In addition, using a video light such as the SOLA instead of strobes reduces your options as a photographer to manipulate your lighting. With my D-80 and strobes I can use dual strobes, one strobe, side lighting, back lighting, top lighting, etc. so as to vary the lighting; not to mention that I can consistently create a black background and increased depth of field using f/22. The Olympus with continuous video lighting limits those possibilities. 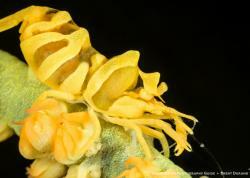 Prosimnia draconis – face of this small simnia on orange gorgonian. The face is 1-2 mm. Ambon, Indonesia. Olympus TG-5, Sola 1200 Video Light. 1/200 sec, f/4.9, ISO 100. Of course, you can attach strobes but then you increase the size of the rig; and lighting your subject, which is a centimeter from the lens, is difficult. I typically position the light tucked alongside the camera about an inch from the subject. With the handle I can aim, compose and shoot with one hand and not disturb the creatures’ environment. I can’t do that with strobes or my D-80 rig. Finally, with the higher ISO and open aperture in microscope mode, the potential for a pixelated photo still exists. In other words, I have heard from other photographers that they were unable to enlarge their prints past about 8x10 due to the noise/graininess. I, personally, have never had that problem. Some of my photos have been enlarged to at least 16x20 and framed for display. I mention this only as a consideration. Diminovula stigma – a 2 mm sized ovulid climbing on soft coral polyps. The foot is 3 mm. Ambon, Indonesia. Olympus TG-5, Sola 1200 Video Light. 1/200 sec, f/4.9, ISO 100. Macro photography has indeed evolved from the Nikonos V with its extension tubes, close-up kit and Velvia 50 film. I must say, however, that as a macro photographer, being able to stealthily approach a subject, place a 1:1 extension tube around it, and obtain a good photo was highly rewarding. My housed D-80 with strobes, however, was incredible; it allowed me to take hundreds of photos with amazing resolution and lighting options. As mentioned, I had difficulty with small subjects in very tight or environmentally sensitive places. Then, voilà, the Olympus TG-5 appears and solves both those problems. In microscopic mode with a small SOLA video light, it does what my D-80 can’t – take microscopic photos of small subjects in close quarters. The accompanying photos speak for themselves. 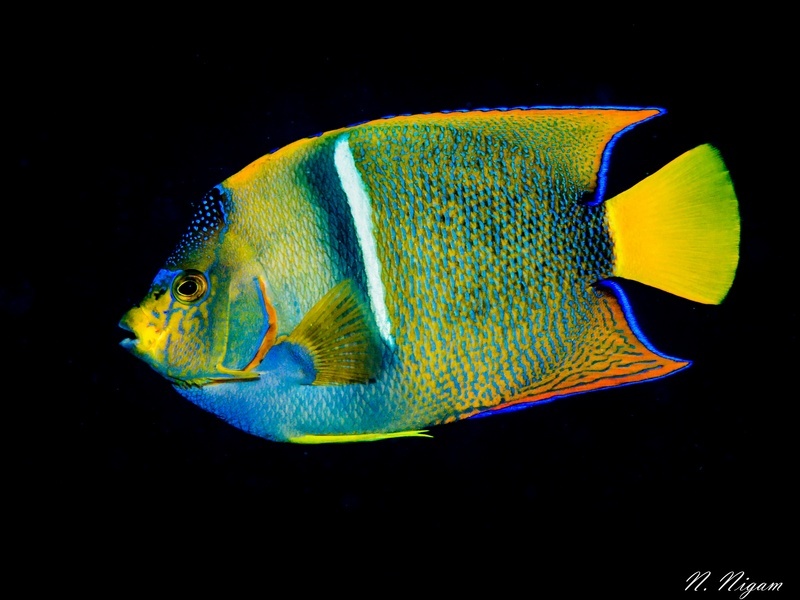 Editor's note: As Charles lays out so nicely in this article, the TG-5 excels when it comes to getting in really close to very small subjects that could be hidden in corals or substrate, without disturbing subjects or coral. And it's amazing for taking close-up photos of said extremely small subjects, as can be seen in his photos. 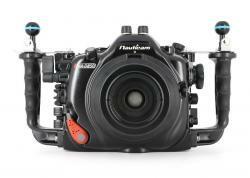 It is also an excellent beginner's all-around underwater camera. With that said, I also need to mention that a higher-end compact setup, like the RX100 V, has major advantages over the TG-5 in terms of sensor size, image quality, auto-focus and full manual control. When it comes to a mirrorless rig, the differences are even larger. So keep this in mind: the TG-5 is a great beginner's camera which punches above its weight on macro/super-macro, can get into tight spaces that no other rig can, and is a fantastic companion to a larger higher-end rig, but it will not provide the same performance or image quality as higher end compact cameras, mirrorless rigs, or DSLRs. Check out our TG-5 review for more info about this great camera! – Bryan Chu, Associate Editor. After graduating from Duke University for undergraduate studies, Charles E. Rawlings attended Duke University School of Medicine where he became a distinguished neurosurgeon. After practicing neurosurgery for over ten years, Dr. Rawlings decided to add another career path and attended Wake Forest University School of Law, where he was named a Juris Doctor in 2002. Dr. Rawlings currently owns and operates The Rawlings Law Firm of Winston-Salem, North Carolina. Moreover, he has over 56 publications in various journals and dive publications covering a multitude of subjects. Although Dr. Rawlings has ventured into the academic areas of both medicine and law, his true passions stem from underwater photography and travel. For over 30 years, Charles has traveled the globe fulfilling his desire to capture life under the sea in its natural habitat. With a focus upon living shells, Charles has taken part in over 50 photographic displays and a myriad of worldwide expeditions. If malachological expeditions in Union Island, Roatan, Manus Islands, Mozambique, North West Sulawesi, and Palawan weren't enough, add in scuba diving, underwater and regular photography expeditions in areas such as the Cayman Islands, Yucatan, Netherland Antilles, Kona Coast of Hawaii, U.S. Virgin Islands, the Red Sea, Belize, Honduras, and other remote parts of the planet. Charles Rawlings' exquisite and seemingly impossible photography has graced the cover of American Conchologist 14 times, as well as being on the back cover twice. Photography that mystifies the mind, tempts the senses, and exemplifies nature's beauty is what can be found behind the lens of Dr. Charles Rawlings. Since I was a kid, the water and dolphins have been an important aspect of my life. I begged my parents to allow me to order the Jacques Cousteau book that would change my young life. Decades after befriending that book and watching every episode of The Undersea World of Jacques Cousteau, I had photographed humpback whales underwater, manatees and beautiful reef scenes, but one of my favorite cetaceans had still eluded me. One day my email inbox lit up with an opportunity to do a small group photography trip to Bimini with Bluewater Dive Travel, and spend time with spotted dolphins. I had heard about the pod of Stenella frontalis that lived in the beautiful waters near the small island, so it was with great excitement that I signed up for the trip. Arranging travel to Bimini was more challenging than some trips, but it only made the adventure more fun. The payoff for a little extra effort was completely worth it once I was surrounded by five mother and calf pairs on our first day out! Just like most wild animals, there is no guarantee of where the animals will appear or even if they will show up for a photo shoot. Our captain, Neal Watson, Jr, knew the pod well and no more than 40 minutes after leaving the dock, our group was approaching it. After I slid off the back deck of the boat with my camera kit I found myself away from other humans and almost instantly surrounded by mother and calf pairs. So fast was their approach that I hardly had time to check my exposure, make adjustments and point my housing in their direction. And then there was the moment of awe that the mothers trusted me with their babies, and a general feeling of my mind being blown. Somehow I managed to click off a few frames before they swam off. I spit out my snorkel and squealed with delight. On another in-water encounter I felt a nudge against my arm as I swam. I thought it was one of the other photographers in the group and was wondering why they were so close. As I turned my head to see who was there, the eyes of a mother dolphin smiled at me and urged me on. Another one came to my left side and I found myself swimming with two adult dolphins pressing against both of my sides. My arms were holding the housing in front and I had to guess at what I was capturing as I turned the housing to either side. They were giving me no space to turn around and pushed me forward with their group. Somehow I managed to take photographs of the encounter and remember the feeling of their strong, sleek bodies against mine as we swam as one sea family. The others moved faster than I could but the large female circled back for me and pushed against my body as if to say, swim faster sister….keep up! Group dynamics are an important consideration when interacting with social animals such as spotted dolphins. At one point three male bottlenose dolphins swam among the large spotted dolphin pod. The ‘boys’ were quite amorous and swam around trying to entice spotted females. I’m guessing my eyes were rather large as the persistent bottlenose ‘boys’ flirted. The females bit and slapped with their flukes but it seemed only to excite the males into greater pursuit, even visiting some of us human females with inquiring eyes and nudges. The sheer joy of twirling and somersaulting with a pod of engaging dolphins has remained fresh in my mind and heart. There’s always the goal of wanting to capture great photographs, coupled with the intent to stay present, enjoy the experience, and actually learn from it. As both a writer and photographer the experience really cannot be segregated into two parts. It can be challenging to stay present with the experience while making sure my f-stop, shutter speed, and ISO are properly adjusted. The photographer in me wants to ensure the shot is free of humans, fins, hands, and boats and that I’m not facing the sun. Shooting at or near the surface while snorkeling ensures better lighting and no need for strobes, but it also means direct sunlight can be a real shot-killer. As a rule I tend to get away from the group of humans as much as possible. Depending on the animals I’m working with this can be easy or, in the case of humpback whales, not so easy because the groups must be kept close together to ensure mother and calf are not disturbed by our presence. With the dolphins of Bimini, it was quite easy to swim away from other humans to be alone with dolphins. Another valuable asset to have as a wildlife photographer is the ability to quiet the mind. Wildlife respond well to individuals who are still, quiet, respectful, and aware of their own personal space. When I’m photographing manatees, I float as still as a log meandering downriver and have had incredible face-to-face photographic encounters and calves that laid on my shoulder or chewed my hair. With dolphins there is active swimming involved so the log-trick didn’t work, but the ability to clear my mind and be completely present in a centered way definitely gave me closer access to their pod’s innermost experiences. One day a headache was challenging me but I slid into the water with hope I could forget it for a while. Several dolphins swam past me and one large, heavily-spotted female stopped and approached me. She was within two feet and began to use her sonar. The clicks and buzzes were very loud and I could feel them inside my head. It felt as if they were bouncing around inside my cranium. She swam off, circled back and repeated the same process with her buzzes and clicks. Finally she moved away and glanced back as if to invite me to follow her. I answered her suggestion and found myself once again surrounded by the pod. Over thirty dolphins were swimming, darting, twirling around me. After a while the dolphins swam off and I returned to the boat. After handing my camera to the crew, I climbed the ladder and realized my headache was gone. I called that dolphin the matriarchal shaman of the pod. Every wildlife encounter is life-changing but these found their way into a book of my stories and photographs, Cosmic Whales: Mystical Stories from the Sea (editor's note: you can find Simone's books here). The three days of encounters with Bimini’s friendly dolphins now weave their magic to those unable to visit them in person. I shoot with a Nikon D800 with a Sigma 15mm fisheye lens in an Aquatica housing. 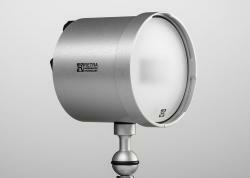 If I use strobes the Ikelite DS160 Sun Strobes are my choice. Settings for the dolphin encounters depended on sun, clouds….that would appear then disappear…and water clarity. In general, the range of settings was ISO 400 with 1/125 or 1/160 sec at f10 or f11 to 1/250 sec at f14. I like to play with f stop and shutter speed to create different effects and encourage photographers to play with their settings. I approach photography with a very intuitive creativity and rarely try to figure out the logistics of settings in the water. I allow my fingers to roll the adjustment knobs on my housing without filtering it through the left-brain. There are many photographers who adhere to a strict formula and approach from a very left-brained method. Each way is completely acceptable. My rule of thumb is to do whatever works for you. 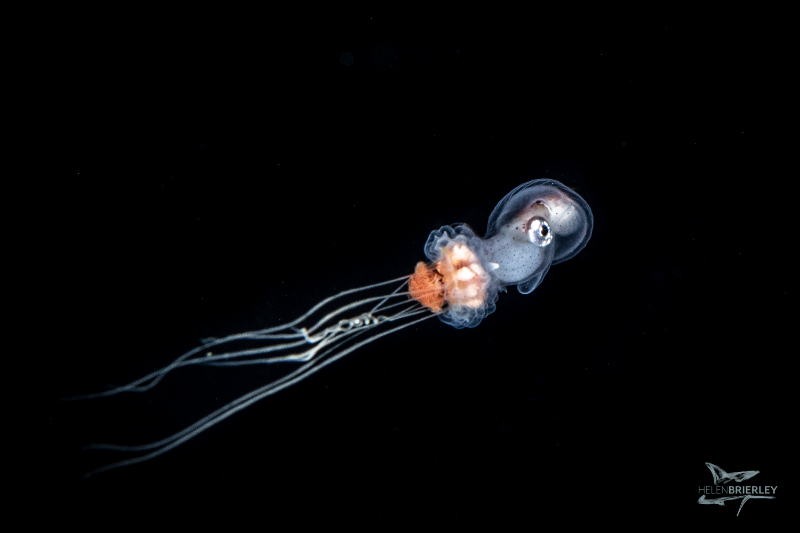 There is one request I make of all underwater photographers: Enter the water with utmost respect for the wildlife you might encounter and your fellow human adventurers. No shot is worth stressing wildlife…ever. Likewise, no encounter is worth pushing others out of the way to beat the crowd. With respect as our intention, only good things will result from our time in the underwater realm. From the big stuff to the small, the Sea of Cortez has a bit of something for everyone. 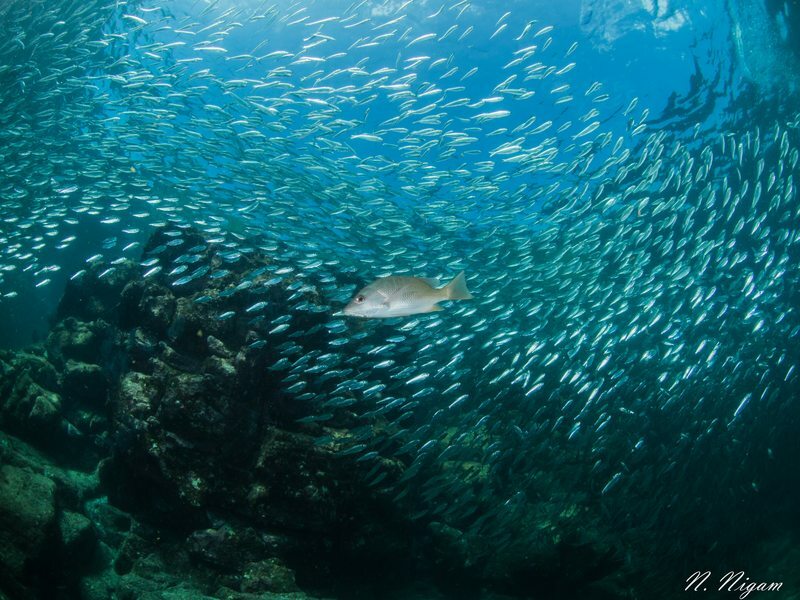 With the nickname “The Aquarium of the World”, it’s not surprising that the Sea of Cortez boasts over 900 species of fish, including numerous endemic species found nowhere else on the planet. Dive into schools of jacks, tuna and mobula rays, hunt the reefs searching for macro subjects like well camouflaged frogfish, seahorses, or a variety of personable blennies and colorful nudibranchs. 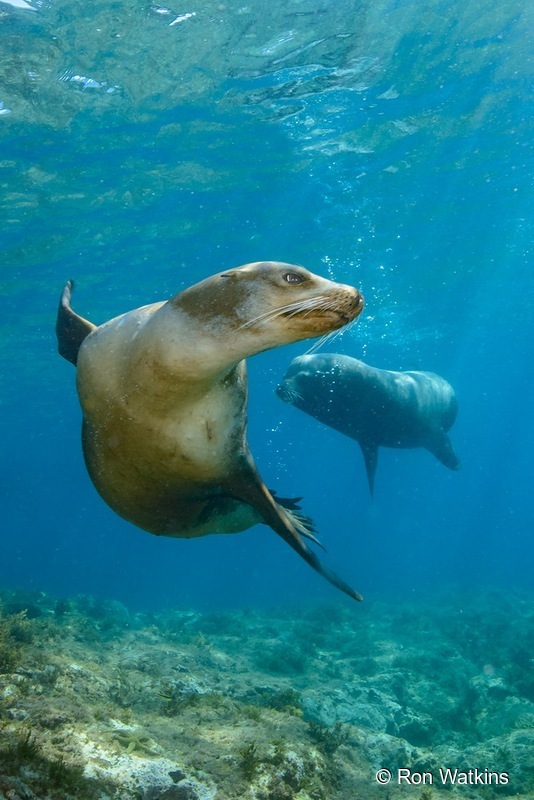 The Sea of Cortez is also well known for its larger animals, including gray and humpback whales, whale sharks and of course, the friendly and playful sea lions. Sharks and manta rays are also a possibility. With over 2,500 miles of coastline, quaint seaside villages, and over 900 islands, it’s a fantastic destination to explore on a liveaboard or from a resort. Whether you’re diving from a liveaboard or a resort, whale sharks are frequent residents in the Sea of Cortez. With whale sharks reaching lengths of up to 40 ft, an encounter with the largest fish in the sea will be sure to leave you speechless. Perhaps one of the best locations to see these creatures is La Paz, a small town towards the southern tip of the Baja Peninsula. 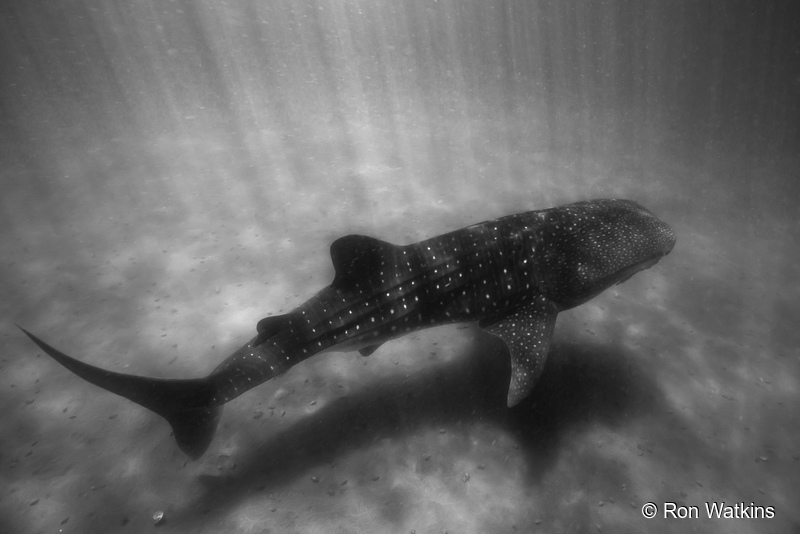 Whale sharks frequent the La Paz Bay from September through November and March through May in order to feed on the abundant plankton. Although the presence of plankton can lower visibility, snorkelers can often approach these huge sharks fairly close – a very humbling experience. When photographing these animals, it can become apparent that even though the sharks move slowly, their large size yields a lot of speed. Be prepared to swim! 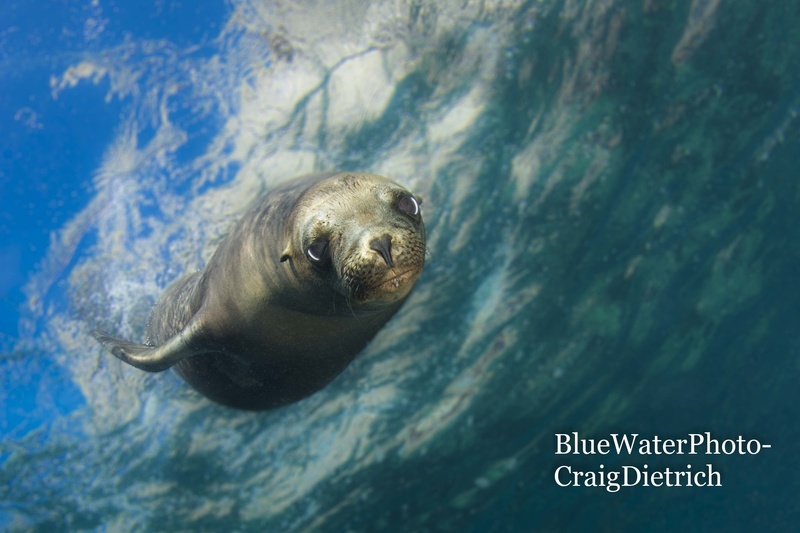 A trip to the Sea of Cortez wouldn’t be complete without visiting some of the local sea lions. The infinite energy and curiosity of these sea lions make an encounter entertaining and fun to photograph. It is easy to spend hours watching them speed through the water, zipping around divers, swimming loops, blowing bubbles, and causing an endless ruckus. Though sea lion dives yield endless fun, be wary of the large, territorial bulls! Perhaps the best locations to see these animals are the rookeries in the Midriff Islands and the Baja Peninsula. 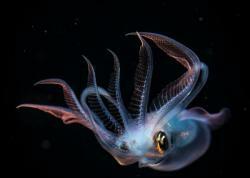 Humboldt squid are renowned for their aggressive behavior and relatively large size – with mantle lengths reaching 4-5 ft (not including tentacles). 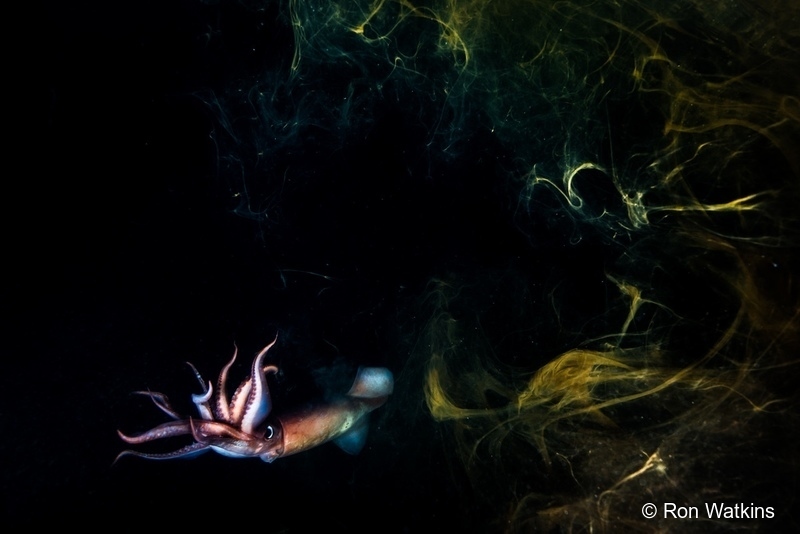 Though they live in deep water during the day, Humboldt squid migrate to shallower depths to feed at night. Some liveaboards will attempt to lure them to the surface for closer view using deep-water jigs and lights. Because of their aggressive behavior, you can’t get in the water to photograph them, but you can lean over the side of the boat or use a pole cam. 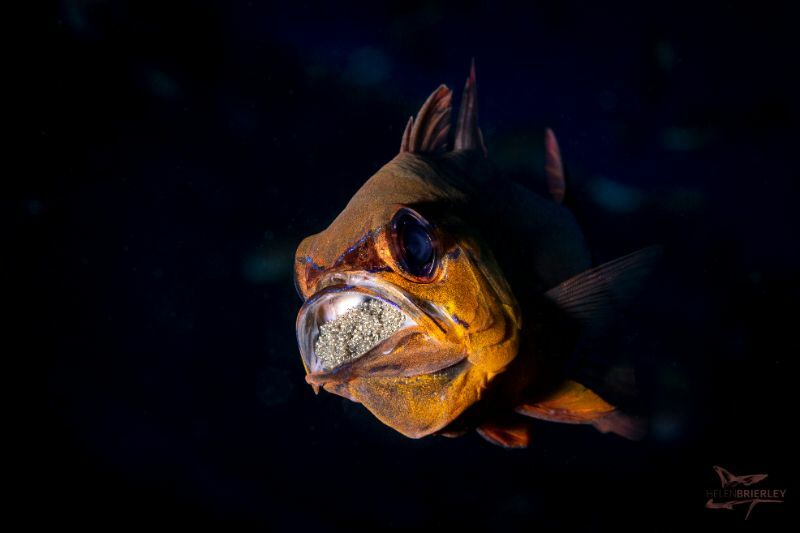 Although known for its large animals, the Sea of Cortez has its fair share of macro subjects – so bring your macro lens! There is a surprisingly wide diversity of nudibranchs. One of the highlights is the Tambja – common but beautiful! Although the reefs of the Sea of Cortez don’t quite match up to Coral Triangle standards – the reef fish are no less beautiful! 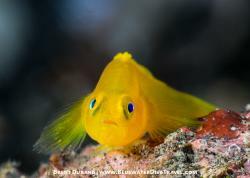 Colorful angelfish, hawkfish, damselfish, and blennies are everywhere, waiting to be discovered and photographed. The Sea of Cortez is surrounded by Mexico – a country with beautiful and unique terrain. 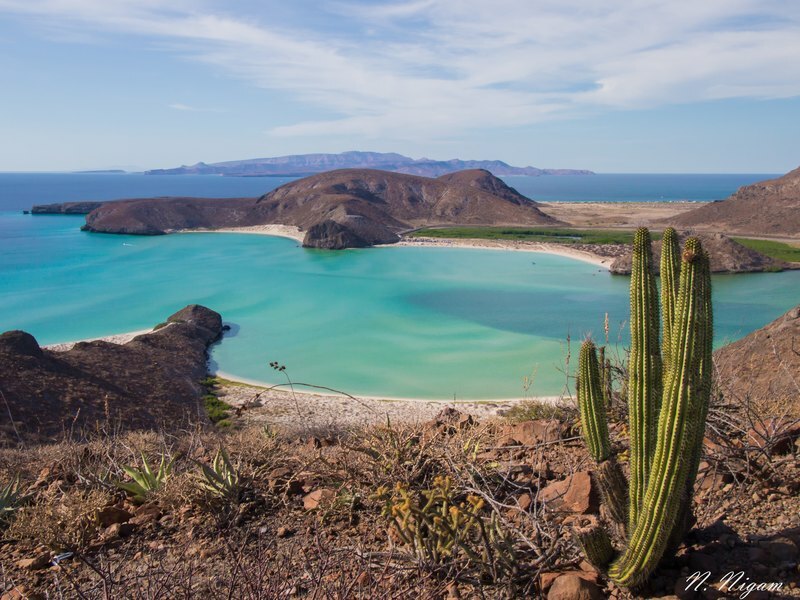 The Baja Peninsula is home to a desert with characteristically large cacti, ranchers with donkeys, and rugged hills. Where the desert descends into the sea, there are beautiful sandy beaches with clear turquoise water – a nice contrast to the arid landscape above. There are many opportunities to hike in search of ocean views and many secluded beaches that can be had all to yourself. 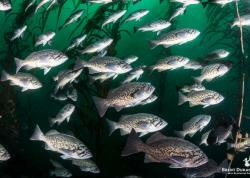 Schools of baitfish can be mesmerizing to watch. Their silver shines with the light as they undulate in formation in the blue water. It can be especially entertaining when sea lions swim through attempting to catch a quick afternoon snack. 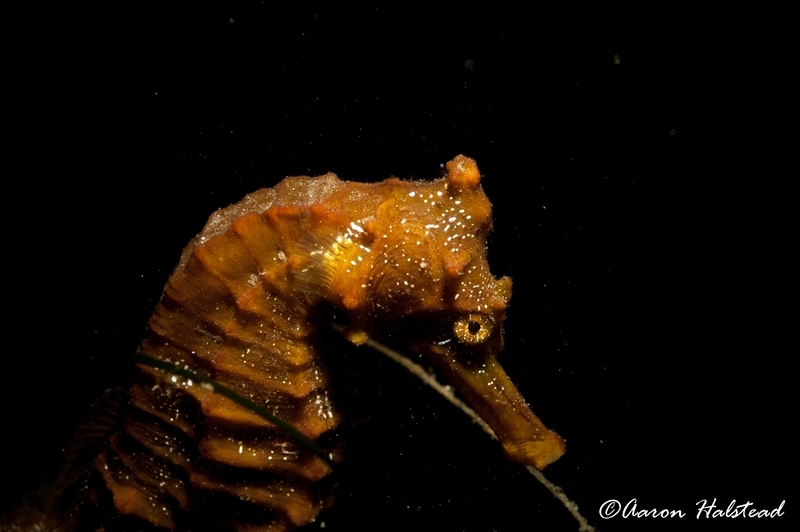 Many would be surprised to know that sea horses can often be found year-round in the Sea of Cortez. They make great photographic subjects so be sure to keep an eye out! 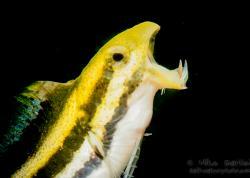 Blennies are another surprisingly common and diverse macro subject in the Sea of Cortez. Some of the common blennies to look out for are Orangethroated Pikeblennies, Signal Blennies, Barnacle Blennies, and Panamic Fanged Blennies. 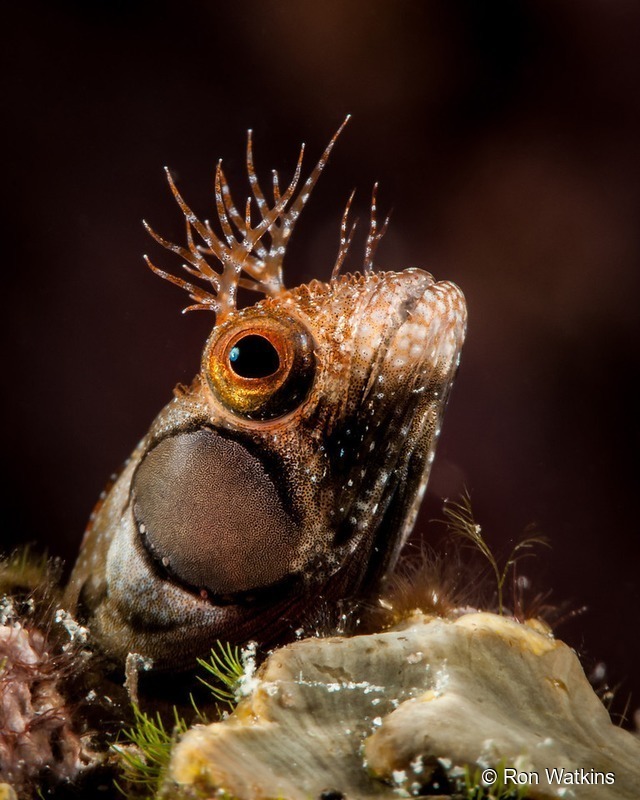 Look out for exciting behaviors – especially from the Orangethroated Pikeblenny! The Sea of Cortez has been made accessible to divers and underwater photographers by a number of excellent dive operations. Diving on a liveaboard is an excellent way to reach remote locations, and handpick an itinerary that suites your photographic desires. Popular liveaboards include the Rocio Del Mar, MV Valentina, and Quino el Gaurdian. 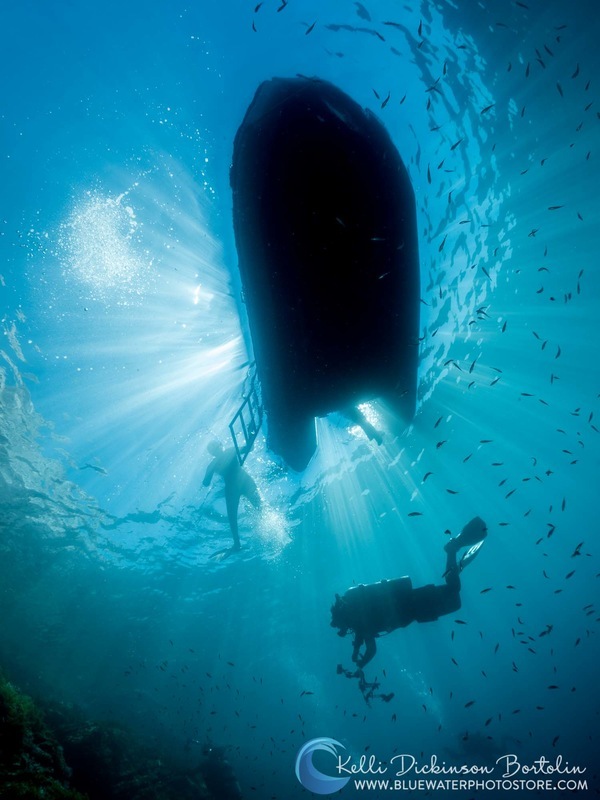 The Baja Peninsula also has a number of nice dive resorts – particularly in Loreto, La Paz, and Cabo San Lucas. Join us for Sea Lions, Sperm Whales and Whale Sharks on the Rocio Del Mar. Trip led by Craig Dietrich. 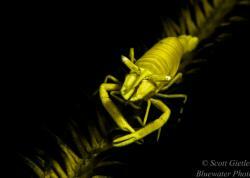 Join us on a unique 12 night itinerary hitting ALL the Sea of Cortez dive locations. Trip led by Helen Brierley. Already booked for the year? There are a few workshops and open boats for 2019 that still have a couple spots left, and who knows, maybe I'll see you there! Whether active, dormant, or extinct, volcanoes are a fascinating and occasionally volatile feature of nature. One country stands out as having the most active volcanoes on the planet, and coincidently some of the best diving – Indonesia. Indonesia’s far northern archipelago gives divers opportunities to dive in close proximity to volcanos. 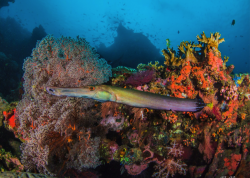 The Sangihe Islands are a rare trifecta of dives; a lucky individual can dive on an active underwater volcano, the base of an active volcano and an extinct volcano with its series of old lava flows that extend down to well below recreational diving depths. Each dive is different, unique, and a little intimidating. Volcanoes can be a challenge to dive, let alone photograph. 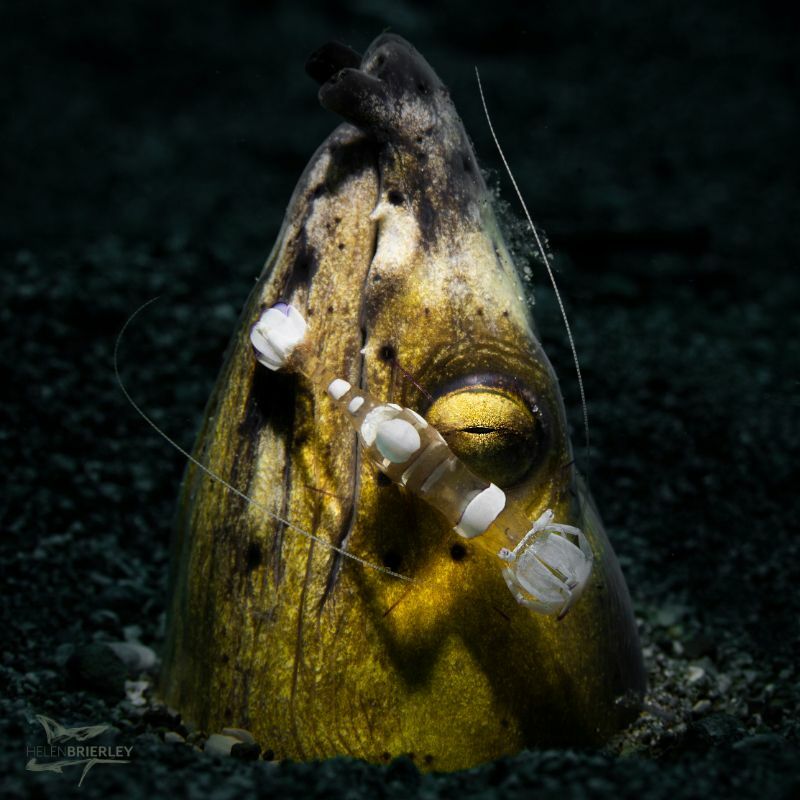 The Mahengetang Active Underwater Volcano is the most difficult of the 3 to dive and photograph – mainly due to its remote location and in-water conditions. Despite being relatively close to a small island which offers some shelter to wind and swell, the currents are strong in the area and the pinnacle must be dived on the slack tide. It’s interesting to note that a prior scientific expedition had reported that the peak was 5m/16ft below the surface. During our dives there 4 years later, the rocky peak had risen and had broken through the surface. All around the peak are hundreds of cracks in the rocks allowing the sulphur bubbles to escape and float upwards. The smell of sulphur at the dive site is very strong, and the water temperature around the volcano is an average of around 35°C or 95°F. This excess heat is a little uncomfortable even without a wetsuit but a lightweight exposure suit is still recommended. 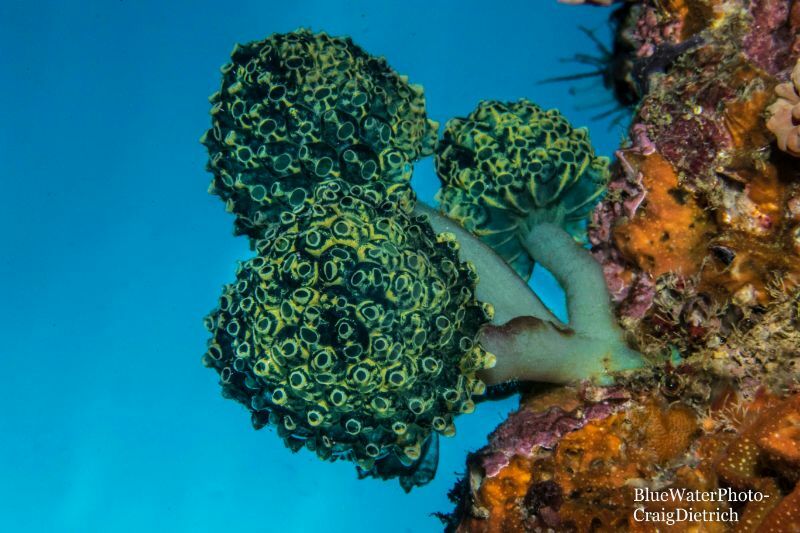 The upside of the excess heat is the incredible, unusually shaped soft corals and sponges. What makes the dive frustrating to photograph are the extreme thermoclines at depths ranging from the surface down to at least 35m/115ft. In addition to massive temperature differences, the heated layers create swirling bands of haze that make it difficult to see and impossible for the camera to focus. With all of the layers overhead, available light is also greatly reduced to about half that of a standard dive. This has wide angle photographers constantly adjusting ISO, aperture, and shutter speeds to compensate for the inconsistent and ever-changing lighting. With models wearing black, the exposures were especially difficult. For subsequent dives, brighter colours were used giving some added safety. During surface intervals, you can walk around and get a glimpse of life on the small island by watching the locals repairing fishing nets or building large timber fishing boats with chainsaws and basic tools. Although they don’t speak English, they are welcoming and the smiling children will happily follow you everywhere you go. Travelling by boat around the Ruang Volcano is stunning. It’s a single volcano with all sides running down to the water’s edge creating a near circular island with deep water all around. The caldera can be clearly seen and is partially destroyed from the last eruption. But what is most fascinating are the two large lava flows that start at the peak and expand down the hillside and into the water. The rock is black, rough and very porous making it ideal for hosting corals when underwater. Like the nearby Mahengetang Volcano, this area also has strong currents but with the lava flows being so wide, it is perfect for drift diving. The variety of coral is incredible with equal amounts of hard and soft corals as well as ample sponges, sea whips and fans. It’s some of the most diverse coral gardens we have ever seen. Interspaced between the lava rocks and coral is black sand making for ideal macro photography as well as wide angle. Karengetang is one of Indonesia's most active volcanoes. From a distance, the constant plume of dense white smoke can be seen rising high into the sky and occasionally, the sight of lava spewing vertically into the air is visible as well. At night the peak has a constant red glow and is fascinating to watch while anchored in the harbour below during both the day and night. It does erupt regularly and erupted just 6 months prior and also 9 months after we had visited the area. The volcano is in the Sitaro Province and the township of Siau is nestled on the water’s edge at the base of this 1870m/6200ft tall volcano. 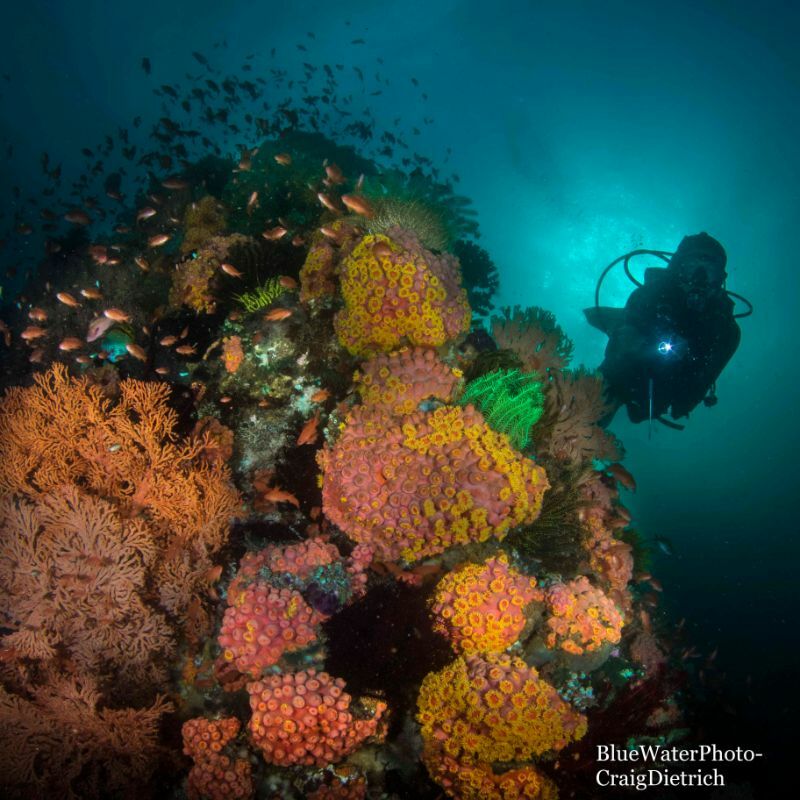 There are many dives all around the volcano’s base from large coral walls, points teeming with fish, coral, and even a wreck – all of which are on the west coast. But for us, the highlights were the black sand muck dives on the east coast of the island, in the harbour directly below the volcano. 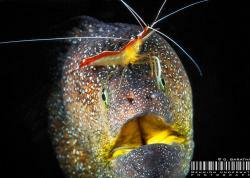 The macro diving here is superb and in our opinion surpasses the Lembeh Straights, located around 100 miles south of Siau. The big difference from Lembeh being the lack of crowds, and the deep rumblings of the volcano that regularly vibrate right though you whilst underwater. More detail and images on Siau’s diving can be found in our “Dispatch from Siau” article. The volcano experience can be topped off on the last “no dive” day with a hike up Karengetang. The 3 am start is at the discretion of the local volcanologist, and is just the first step of a very physical 15 hour climb that requires an experienced guide, very good footwear, and a high level of fitness. After a beautiful sunrise, walking up through the clouds in the middle of the day, and the views overlooking the bay are well worth the effort. 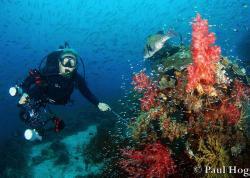 The area can be accessed from Manado by light plane to Siau, fast ferry, or the occasional dive liveaboard with exploratory charters of the area. For divers travelling from Manado to the Lembeh Straights or the Bunaken Marine Park, it’s a great way to tack an extra few days diving onto the trip and with the right weather, get a little volcanic diversity to your dive holiday. Paul and Lisa are an Australian couple originating from Australia’s East Coast. Of their 20 years of marriage they have lived on their private yachts Purranha and Lorelei for 14 years and have been full time sailing/cruising for 9 of those years. Their latest expedition began in 2011 onboard Lorelei with the main purpose to dive many of the world’s best dive locations. To date they have explored 22 countries in the South Pacific, North Pacific and Asia – covering a distance of over 24 000 nautical miles. They are independent divers and can proudly say that over 95% of their underwater images were taken whilst diving by themselves from their purpose built dive tender on board Lorelei. They are PADI pros and have over 8000 dives between them. Due to the harsh conditions of sailing life, they choose Nikon, Ikelite and Aquatica photographic equipment. A trip to the Galapagos Islands, Ecuador is on the bucket list of virtually every nature enthusiast, for good reason. The Galapagos are an immersion into evolution with an abundance of creatures – many endemic – each riding the train of natural selection. They are a geological wonder with a shallow, seismic hot spot under the Nazca tectonic plate spitting out islands at a rapid rate – at least on a geological timescale. The islands themselves are a lesson on the circle of life. Barren lava heaps slowly become dense with vegetation as organic matter saturates the soil. But in the end, harsh winds and seas erode land back below the surface. The engine behind the incredible biodiversity of the Galapagos islands is the convergence of the plankton-rich Humboldt and Cromwell currents – which produce one of the world’s most dramatic food chains. Our exciting Bluewater Travel journey on the Galapagos Master began with an overnight passage to Darwin Island – the remote northern outlier of this island chain. The introductory advice from our experienced guides was to keep our mouths closed while on the observation deck. At first it was amusing, but it soon felt very sensible as we found ourselves beneath countless soaring cormorants, frigate birds, and blue-footed boobies. It is not possible to grow habituated to the presence of hammerhead sharks, but this would be the place to try. 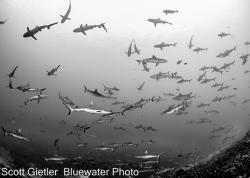 Every dive was not so much a question of whether we would see hammerheads, but rather how many – with schools of thirty or more sometimes cruising past. Very large schools of jacks, tuna, and barracuda were complemented by plentiful free-swimming giant morays and tranquil green turtles. The "wows" on this trip never stopped – from leaping mobula rays to dolphins that stuck around long enough for us to jump in for a look. Silky sharks lazily surrounded the boat, while Galapagos sharks circled below, and a pod of orcas passed by at a distance. 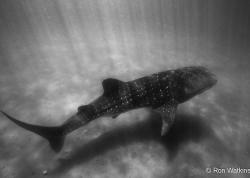 We were even treated to what seemed like the biggest whale shark ever, most likely pregnant, on one of the safety stops. After several amazing days at Darwin and Wolf islands, we headed back south, into the heart of the Galapagos Archipelago. While hammerhead sightings tailed off, they were more than adequately replaced by encounters with playful sea lions, eagle rays, fur seals, and massive schools of fish. 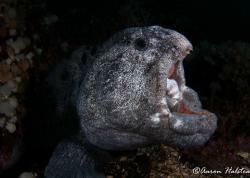 Dives at islands such as Fernandina and Isabela had their own magical gems. From pre-historic red-lipped bat fish, to marine iguanas feeding underwater, and giant Southern Ocean sunfish (Mola ramsayi), to countless breeding sea hares, to Galapagos penguins – every dive had something special to offer. This trip also provided some shore-based exploration opportunities – for closer looks at the sea lions, iguanas and nesting sea birds. Of course a trip to the Galapagos would not be complete without seeing Darwin’s finches along with a face-to-face encounter with the Giant Tortoises, whose saddle shaped shells gave the island chain its name. Several guests started or ended their time on the boat with an extra day or two in pleasant San Cristobal – where sitting on a park bench might first require convincing a sun-bathing sea lion to move on. Respecting the two-meter distance rule in these well-protected islands is not always easy – particularly when the animals approach you. If the Galapagos Islands are not on your bucket list, it is probably time to review your priorities. This is a unique and magical place – and what better way to see it than with BlueWater Travel aboard the Galapagos Master. Join us for our upcoming trips! With a life-long passion for anything water-related, Helen and Dan take every opportunity to race sailboats in Southern California and scuba dive anywhere in the world. Both Helen and Dan learned to scuba dive in the early 80’s, Helen in the UK and Dan in New York, and they currently call Los Angeles home. 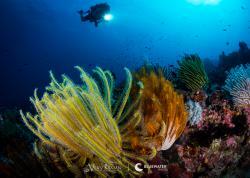 Helen also serves as Board Chair for Reef Check, the global marine conservation foundation. Each December, Bluewater Photo returns to Crystal Blue Resort in Anilao for the annual winter photo workshop. 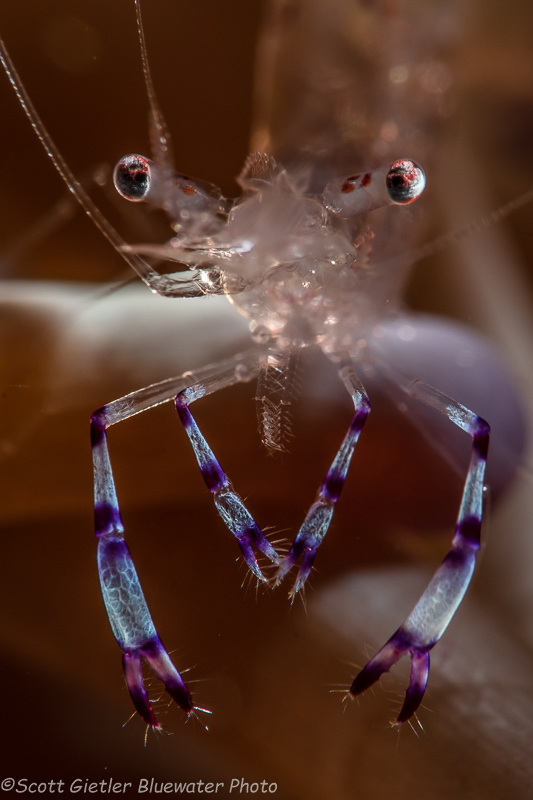 This year, Bluewater Photo's Vijay Raman and Matthew Sullivan joined Crystal Blue Resort’s Mike Bartick and ~30 guests for a week of intensive underwater (mostly macro) photography: 4 dives per day, a daily image review, and a daily presentation on some sort of underwater photography discipline. Popular topics included blackwater diving (which several guests got to participate in), snoots (think just about everybody snooted at some point during the week), black backgrounds (for dramatic portraits). The diving was top notch as always in Anilao! 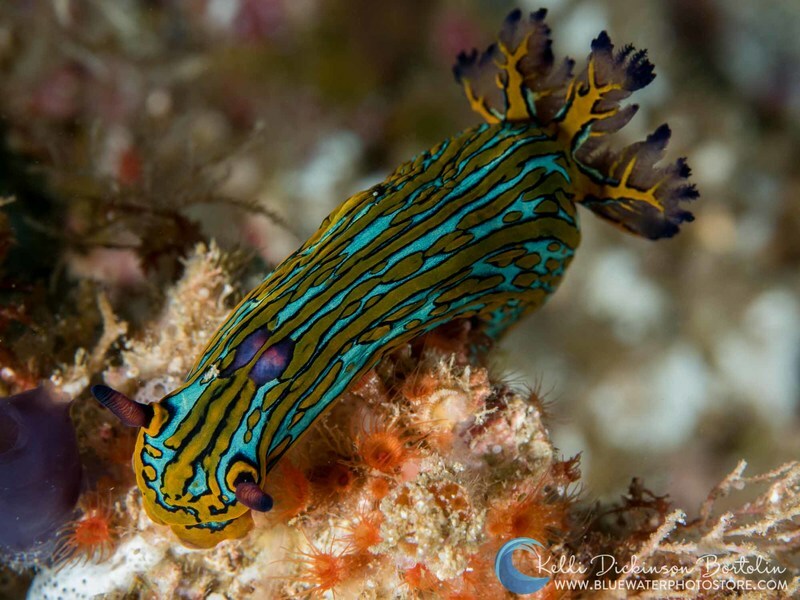 If you are looking for world class macro diving and some gorgeous reefs and walls, it is hard to beat Anilao as the combination of numerous different habitats allows for a huge diversity of marine critters. Highlights on this trip included many frogfish (hairy, warty, giant, and painted), flamboyant cuttlefish, tons of mimic octopus, pygmy seahorses, blackwater diving, Lembeh sea dragons, rhinopias, nudibranchs of course. The list could go on but it would be better to just go see for yourself! Below are a selection of guest pictures made over the course of the week. Imagery improved dramatically from day one and the guests left with some very impressive photos that I myself would've been happy to have created! The group was amazing. On behalf of Bluewater, thank each of you for being fantastic, and please join us again somewhere in the world! 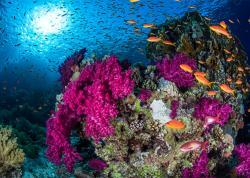 Northern Red Sea, one of the most beautiful marine environments on the planet. Known for lush reefs, and a multitude of famous wrecks. For Europeans, the Red Sea is as common a dive destination as the Caribbean is to US Citizens. Although the Red Sea is less frequented by US divers, it is one of the world’s gems when it comes to diving. The crystal blue waters, abundant sea life, beautiful coral gardens and shipwrecks loaded with precious cargo make this one of the world’s best dive destinations. Sha’ab Abu Nahas reef is famous for hosting several shipwrecks. The reef lies just north of Hurgada. Perhaps the reef’s most famous wreck is the Giannis D, a cargo ship which ran aground in 1983. However, the Chrisoula K, which sunk in 1981 is full of Italian floor tile and has very interesting structure which is easily penetrated. The Kimon M which sunk in 1978 is an exciting wreck which lies on its starboard side at the bottom of the reef and the Carnatic is a skeleton of a wreck that sunk in 1869 and offers wonderful photo opportunities. If these wrecks don’t satisfy your appetite for wreck diving, then the SS Thistlegorm should do the trick. A world class wreck, the Thistlegorm is full of World War II cargo, including trucks, motorcycles, a tank, two locomotives and lots of army boots, ammunition, and more. The holds are easily penetrated and offer a fascinating glimpse into another time. Further north is the marine protected area, Ras Mohammed National Park. Just 30 km south of Sharm El Sheikh, the park has beautiful terraced coral reefs covered in fishes and other marine life. The best dive sites in the park are Shark and Yolanda reefs. Shark reef has steep walls with soft corals and at certain times of the year, great schools of fish. Its next door neighbor, Yolanda, is strewn with a cargo of bathroom fixtures from the ship wreck for which the reef was named. 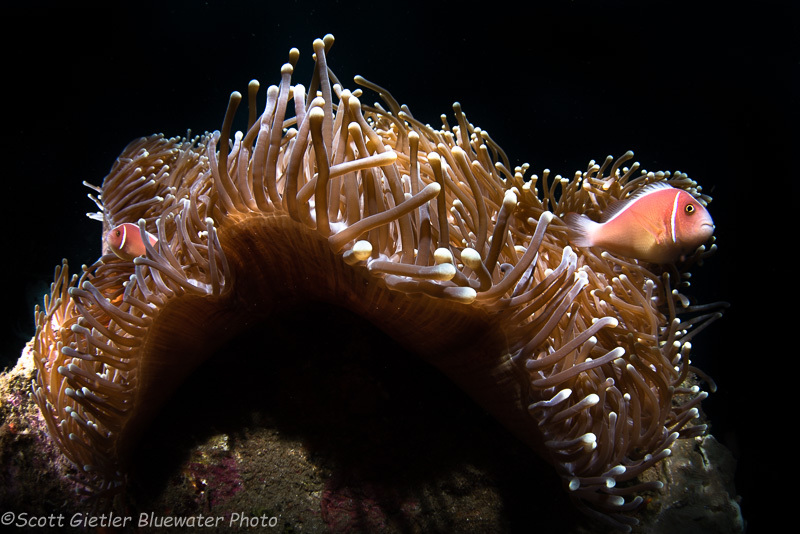 Within swimming distance of Shark Reef is Anemone City, a reef covered in anemones and anemone fish. Ras Umm Sid reef offers snorkeling as well as diving, with a large shallow shelf of hard corals and a unique dive site called Temple. 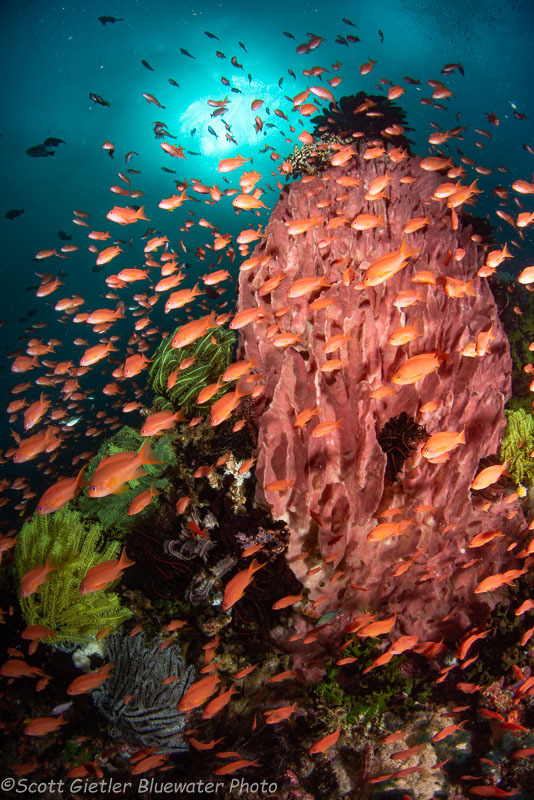 The Red Sea is diveable year round with the warmest months being June- August, and the coldest, January-February. The average water temperature is 74 degrees (23C). Direct flights from London to Hurgada are available, where many live aboard operations are docked. 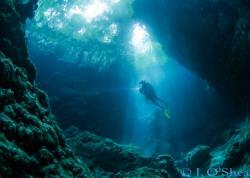 Divers can also fly in to Sharm El Sheikh and dive from live aboard, or the resorts based there. You’ve done it all and seen it all underwater, right? Challenge! How about 12’ crocs up close and personal? 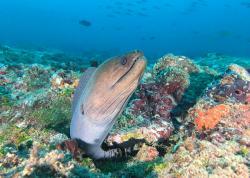 If you are struggling with ‘just another pretty reef’ diving – and are willing to suffer a bit of rough and ready – then a trip to Chinchorro Bank has to be the remedy for you. The bank is a shallow expanse of reefs, mangroves and a bit of dry land, 30 miles off the southernmost Caribbean coast of Mexico, just north of the border with Belize. The ‘getting there’ is not too bad – a flight to Cancun and a five-hour drive to Xcalak (which if you have heard of, you are the only one). The way to do this trip is with a day or so in Xcalak at the beginning and end, with a few days in between out at Chinchorro Bank, with the crocs. The diving from Xcalak is fairly run of the mill Caribbean diving, other than the chance of seeing a manatee (we did) and the virtual certainty of seeing a massive school of tarpon – numbering in the hundreds and with some fish over two meters in size. The reason for this trip, however, is not Xcalak itself but rather the time out at the bank. The crossing is the usual – a pleasant hour and-a-half or an unpleasant two and-a-half (it’s called ‘weather’). One arrives at the bank in a relatively sheltered area, with about a dozen stilted fishermen’s huts. To call these ‘basic’ would quite frankly be kind. If you need five-star, wi-fi, TV, thrice-daily showers, a bed, etc – then this is not the trip for you. Life is very communal in the small hut, with hammocks strung pretty much wherever one can string a hammock. Food is fine – it comes when it comes, but there is no pretending this is a culinary tour. So why do it? 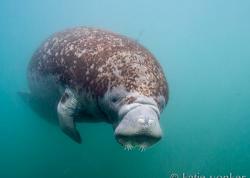 There are about five-hundred reasons – and they live in the murky water in the middle of the mangroves. 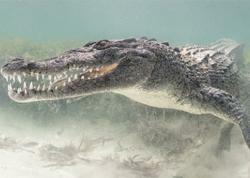 No one knows exactly how American crocodiles first got to Chinchorro, but it is quite unlikely they are leaving anytime soon. The fishermen’s huts are in the clear, open-water on the leeward side of the island. When the fishermen come in from their daily excursions, they clean their catch and give the scraps to the crocs. This long-standing routine has made the crocs rather reliable in coming out of the swampy back-water (not all of them, but at least a few), from late-morning through the end of the day. One scuba dives on the healthy nearby reefs in the morning – to see the reefs, but more importantly to spear the lionfish which are used to wrangle the crocs in for a closer look. 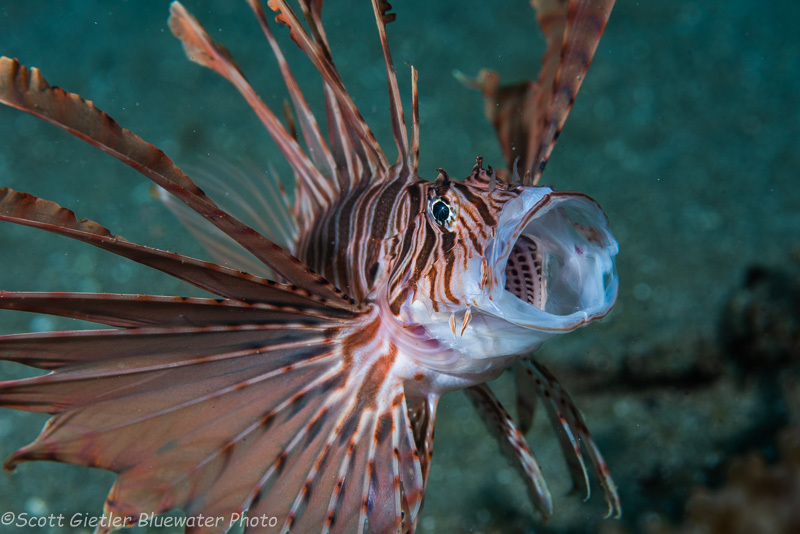 The whole area is a marine park, so it is only the invasive lionfish that visitors are allowed to take (while the fishermen have broader, grand-fathered fishing rights). It is then back to the ‘chalet’ for an afternoon of croc encounters. This is done in the chest-deep water just next to the hut, because that is where they expect to be fed as usual. Seeing a croc from in the water for the first time is a heart racing experience. Over a few days, one gets more comfortable at enjoying and filming these incredible creatures in what feels like a very natural setting. It would be tough to say that one ever feels completely safe, but the in-water guide makes it feel manageable as time goes on. If you are the type of person who listens to the instructions of experienced guides, you should be alright – if not, you might want to practice writing with your other hand before you go. The bottom line is that this is an incredible experience that few will ever see – so a ‘must do’ for anyone who can cope with a bit of inconvenience for a truly unique interaction with these awesome, evolution-be-damned creatures.